This week's shows, What's on this week. Stay "Smart" at Ravensdale Lodge. "Smart "watches along with a host of other great prizes on offer for our "Smart" leagues initiative. Thursday: SJI registered indoor horse league, modified horse classes from 80cm to 1.30m, start time 11am. Friday: Indoor horse & pony training league, classes from X poles to 1.10m, start time 5.30pm. **Part of our "Smart" league initiative. Saturday: Indoor arena eventing league, start time of 2pm for 70cm class followed by the 85cm class (not before 3pm) and 1m class (not before 4pm). **Part of our "Smart" leagues initiative. "Stay Smart & Exceed Expectations". Autumn winter indoor show & event schedule 2015. Thursday 24th September to Thursday 10th December (final): SJI registered indoor horse league. Modified horse classes from 80cm to 1.30m, start time 11am. Friday 25th September to Friday 11th December (final): Horse & pony training league, classes from X poles to 1.10m, start time 6pm. Saturday 26th September to Saturday 12th December (final): Indoor arena eventing league. Start time of 2pm for 70cm class followed by the 85cm class (not before 3pm) and 1m class (not before 4pm). "Bumper" Halloween Show Sunday 25th October & "Bumper" Christmas Show Sunday 27th December : 7 timed classes from X poles to 1.10m, start time 11am. Open to horses & ponies, all welcome. Autumn / winter indoor show schedule 2015, league rules. Indoor horse & pony training league: Friday 25th September to Friday 11th December (12 weeks): 1 point awarded for entry into competition, 1 point for clear first phase and 1 point for double clear round, maximum 3 points. Indoor arena eventing league: Saturday 26th September to Saturday 12th December ( 12 weeks): 1 point for entry into competition, 1 point for clear round jumping and 1 point for jumping optional joker fence on first attempt, maximum 3 points. 12 week leagues for Indoor horse & pony training & Indoor arena eventing. The final of all competitions are open to everyone however to be eligible for prizes in final same horse / pony / rider combination must compete in same class at 5 league shows before the final. League winner will be the combination with the most points over the course of the league, if there is a points tie then there will be a count back and the combination with the most league appearances will be deemed the winner, if still tied then the best performance in the final will be deemed the winner, judge's decision is final. Classes in final will be timed and combinations must compete in relevant class in final to collect prizes. Usual penalties regarding poles down, refusals, run out’s, disobedience, falls etc apply. A fall off or parting of company from horse in any competition will mean elimination and riders must leave the arena / course on foot. 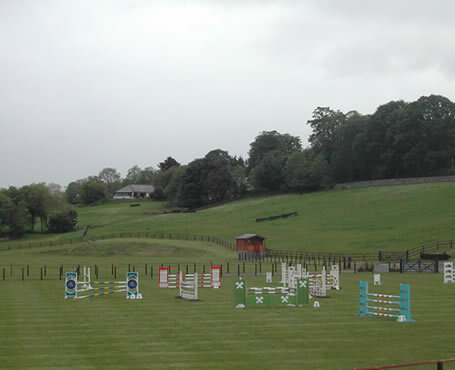 Show organisers reserve the right to refuse entry to show, amend schedules, postpone or cancel events. The final of all competitions are open to everyone however to be eligible for prizes in final same horse / pony / rider combination must compete at five league shows before the final. League winner will be the combination with the most points over the course of the league, if there is a points tie then there will be a count back and the combination with the most league appearances will be deemed the winner, if still tied then the best performance in the final will be deemed the winner. Combinations must compete in final to collect prizes. A fall off or parting of company from horse in any competition will mean elimination and riders must leave the arena on foot. Combinations are requested to keep a regular look at relevant league tables throughout the league and notify the office if there are any mistakes regarding points. Judges decision in any query shall be final. Gift vouchers available, the ideal year round present, sure to please. ~ Please check our "Blog" for terms, conditions & rules on all our forthcoming leagues. We would like to thank all our sponsors for their kind support and ask our customers to support them whenever possible. Check out the Ravensdale Lodge "Blog" for all the latest results, league tables, photos, press releases & interesting news items. Ravensdale Lodge offers world - class facilities at unbeatable value for money. For further information on these or any forthcoming events, lessons, treks / hacks, training, facility hire, competition livery, advertising or sponsorship opportunities please contact Ravensdale Lodge on +353 (0) 42 9371034 or email info@ravensdalelodge.com. Follow us on Facebook and Twitter. Gift vouchers available, the year round present, sure to please.